David Martinez, Acting Director for the City of Miami Beach's Capital Improvements Program, talks about the city's use of construction program management software to improve capital project delivery. 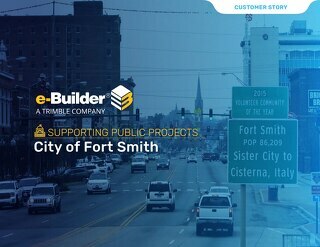 Learn how the city of Fort Smith Utility Department is implementing a compliance program estimated to include $480 million of sewer upgrades over 12 years with e-Builder's help. Chicago Transit Authority enabled the evaluation of current processes and facilitated process improvement activities. Read the customer story! Port of Olympia reduced the time spent entering project information into spreadsheets or databases by 50%, the average document retrieval time is now less than 3 minutes. Read the customer story! e-Builder's integrated capital project management software is helping the Metropolitan Council of the Twin Cities area, streamline construction processes. Download the Customer Story for more! e-Builder offers Washington Suburban Sanitary Commission the flexibility to access the system from virtually any place at any time, which is a huge advantage. Read the Customer Story! CATS is looking to use e-Builder to improve project forecasting reports and revamp the dashboards currently being used for high level reporting. Read more in the Customer Story! The Norfolk Department of Public Works Design Division procures and manages design and construction for approximately $61.1 million in Capital Improvement Program (CIP) projects. Read the story. The city of Arlington's project inspectors no longer rely on daily, handwritten diaries and calendars of project site visits to complete their reports. Read the full customer story! Metropolitan Sewer District’s challenge was to establish a streamlined automated solution that is compliant with MSD’s policies and guidelines in terms of documentation and e-Builder solution helped. The Sunnyvale Public Works Department (SPWD) is charged with maintaining and upgrading city facilities and infrastructure and e-Builder help them improve process to achieve their goals. Read more! 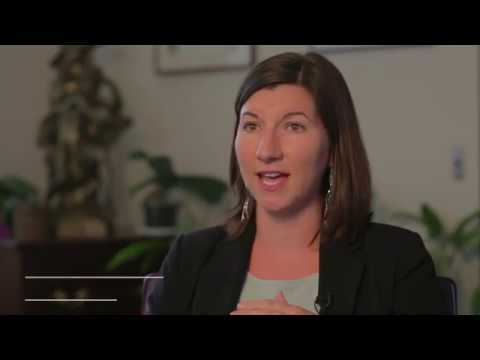 Hear firsthand how Minnesota DOT and the MetCouncil are utilizing e-Builder Enterprise for the largest public works project in the state of Minnesota, and to ensure transparency on the project.